Despatched same-day if order is placed by 1.00pm (UK time). Next Day Express delivery is also available. With over 14 million sold worldwide, we're the most popular bracelet for magnetic therapy. Thinking of taking up a new activity this month? How about yoga, and no… it’s not just for girls! If you are new to yoga then this is the perfect time for you to find your inner Zen! September is officially National Yoga Month, designated by the department of health and human services, designed to educate and inspire yoga within a healthy active lifestyle. Yoga isn’t just a physical exercise programme, it’s a scientific system full of health benefits that is split into two sections; physical and mental. The relaxation techniques incorporated in yoga can help to reduce chronic pains such as arthritis, headaches and lower back pain. Other physical benefits include increased muscle strength, weight reduction, and improved blood circulation. Aside from the physical benefits, one of the main advantages of yoga is how it helps a person to manage stress and find inner peace. Yoga is a historic form of exercise which dates back to 300BC in India. Over the years it has been adapted in a variety of ways and now focuses on 3 key components – strength, flexibility and breathing – in order to boost your physical and mental wellbeing. Nowadays, women and men of all ages enjoy practicing yoga through meditation, where a collection of physical postures are designed to purify the body and significantly increase strength and stamina. Interestingly, many of the outcomes that yoga promotes corresponds with Trion:Z’s magnetic therapy health benefits, as together both can help increase blood flow, reduce joint pains and decrease stress. How? Well it’s simple – Trion:Z magnetic therapy bracelets feature powerful Colantotte magnets, infused with negative ions. The unique polarized technology is considered by many professionals to be an extremely powerful form of alternative medicine. We have Japanese Medical Approval, use patented ANSPO magnetic therapy technology unique to us and hold a Class 1 CE Mark. So, surely it a crime to not have a Trion:Z bracelet to match your yoga mat, right? Our Colour Palette collection features stylish, colourful and lightweight bracelets, which integrate two 1,000 Gauss magnet capsules with patented ANSPO technology to maximise the magnetic field flow and improve blood circulation – perfect for mat to palm work! Movement is essential in yoga and the Colour Palette bracelet freely supports this, with a non-fastening strap, the slide on motion is ideal for the someone who’s after a feather weight feel accessory. So what are you waiting for? Browse our colourful collection today! Do You Dare To Go Dairy Free? Positive & Negative Ions – What do they do? Treat Your Furry Friends, With Trion:z For Pets! Add A Touch Of Class To Your Zen Collection This Autumn/Winter! The Trion:Z brand has been promoted in Europe for over 10 years. Since its founding in 1997, many thousands of professional athletes, celebrities and sports stars alike have proudly worn Trion:Z to enhance their performance and well-being. We employ Secure Socket Layer (SSL) encryption technology on our site, so you can be assured your order will be placed safely and securely. We do not store any of your financial details. 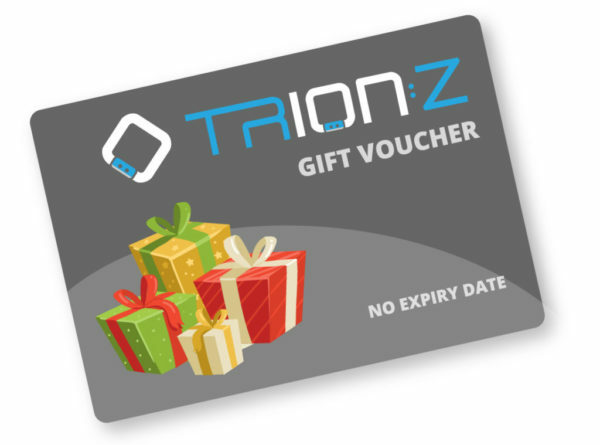 Want to know more about Trion:Z? Want to know all the latest offers and promotions? Simply sign up to our newsletter. You can unsubscribe at any time and we (pinky) promise not to pass your details on to 3rd parties. Copyright 2019 © Eurozone Brands Limited. Registered in England & Wales under Companies Act 1985. Company No: 6199681. VAT: GB974379076.